High throughput techniques, such as automated chemiluminescent immunoassays (CLIAs) are a must in settings where thousands of daily analyses are performed. 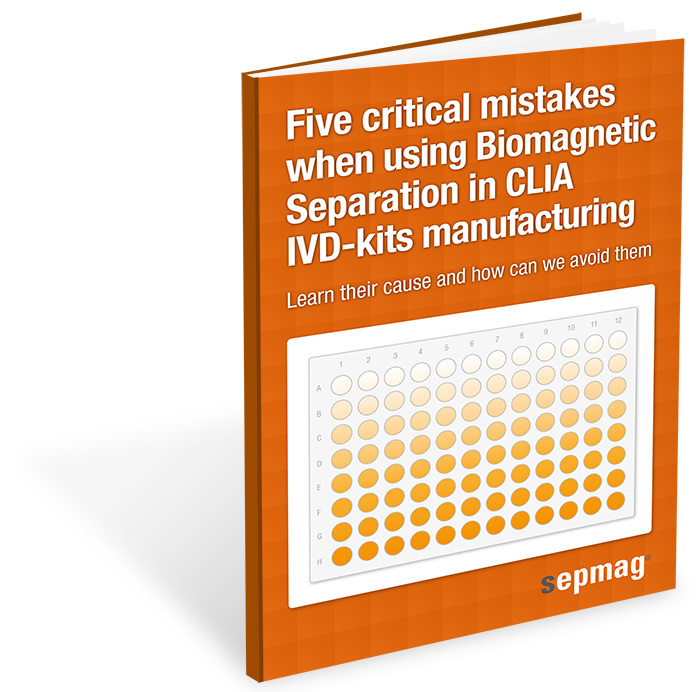 As a consequence, the production volume of CLIA-IVD kits has sky-rocketed, and because of that in-batch consistency of these kits has raised new concerns. SEPMAG® has been working with leading IVD companies, Production Managers, R&D scientists, lab technicians and Quality Assurance personnel to guarantee high performance, well parameterized biomagnetic separation processes since 2004. Over these 10 years, we have identified 5 recurrent and critical mistakes that delay projects and cause significant economic losses. We are sure this guide will help you get the most out of your biomagnetic separation processes.